The Union Minister for Heavy Industries and Public Enterprises, Mr Praful Patel, addressed the August gathering of the Automotive Industry at the opening of the 12th Auto Expo at the India Expo Mart in Greater Noida and Pragati Maidan, New Delhi. In his address, he called for greater co-operation between the auto industry and the Government to help revive the sector. The 12th Auto Expo, which kickstarted on Wednesday, February 5 as the media day at Greater Noida had over 30 manufacturers bring in their latest vehicle lines and concepts to the Auto Expo 2014 – The Motor Show. With the inauguration of the Auto Components section at Pragati Maidan on Thursday, the Auto Expo has truly come of age. Mr Praful Patel at the inauguration emphasised that it was important that the Government took the right measures and gave the right incentives and energy stimulus to achieve a turnaround. 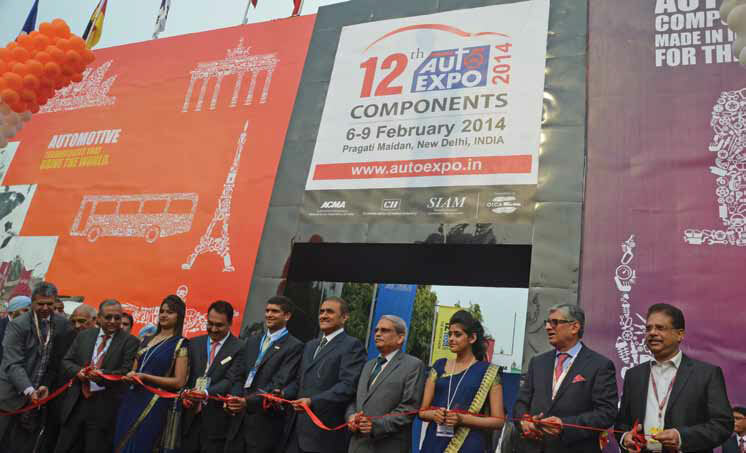 Mr.Praful Patel also inaugurated the first ever Electric Mobility Pavilion at the Auto Expo 2014- The Motor Show. This pavilion is positioned to showcase hybrid/ electric technology and vehicles from various vehicle and component manufacturers with the objective to demonstrate the level of industry’s readiness as a prelude to the roll out of NEMMP schemes. Day two of the show also saw the launch of several scooters, electric concepts and mass mobility solutions from many manufacturers.